One of the world's oldest cities, with its recorded history spanning around 3,400 years, and the earliest human presence around the 11th–7th millennium BC, Athens was an interesting place for us to explore last week when we stopped there on day 10 of our cruise programme. The birthplace of democracy, Athens is a large cosmopolitan metropolis, and we cruised into Piraeus on Wednesday morning with plans for another big day of exploration. We got off the ship and walked around to the bus area where we purchased "Hop on, hop off" passes for the day. Our first stop - The Acropolis. Sitting high on the rocky hill above the city, the Parthenon is the most famous monument up here. Constructed between 447 and 438 BC it was dedicated to Athena Parthenos, the patron goddess of the city of Athens and goddess of wisdom. On the north side of the Erechtheum is the porch of the Caryatids, which was what we saw from the direction we came. The Odeon of Herodes Atticus is a stone theatre structure located on the southwest slope. The Theatre of Dionysus Eleuthereus is a major open-air theatre and one of the earliest preserved in Athens. The theatre was dedicated to Dionysus, the god of wine and the patron of drama. Every piece lying around in this area is numbered so the conservation team can track and try to fit the pieces. Its like a huge work in progress jigsaw puzzle. We walked the perimeter, admiring the view as we wandered through the hill of the Nymphs. After being fully satisfied with being here we were back on the bus and on the hunt for souvlaki. We got off in a nice central area, and walked around until we found a place we liked. The souvlaki, wow, they were so tasty. We wandered around a bit more, and Kien chased pigeons in the square with the Parthenon on the hill is the distance. We stopped for some further refreshments since we had about a couple of hours left before the all aboard deadline. We found a really comfortable restaurant where they had good wifi and hung out there for an hour. Whilst there a little gipsy girl came up to us and played a few bars on a small accordion. She puts her hand out and says, "give me money!". We were so shocked by her directness we did give her some change. We stayed there for a while, and then realised it was only 1 hour until the cutoff time for all aboard. We quickly ran and waited for our bus, and after getting on we realised that there is no way we will be able to get back to the ship on time. I confirmed the timing with the bus driver, and when we were at the next stop I asked him to talk to a taxi driver for me about timings for a ride to port and cost. Taxi driver said he could get us there in 10 minutes for 20 euro, so we went for the deal. Weaving around traffic jams and belting down the highway at a somewhat hair-raising speeds, the driver did get us to port on time. Phew! We arrived in Kusadasi in the afternoon on day 9 of the programme, Tuesday 20th. That's today as I'm writing this post, but who knows when I'll get to publish this. 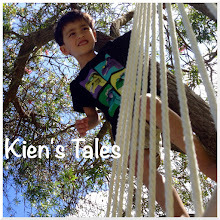 I've got 2 other posts ready to go up as well as 2 of Kien's tales. I figure that if I write everything up and sort through all the photos then as soon as I find wifi I'll be able to publish the posts. We decided to take a local bus from Kusadasi to Ephesus, which was a bargain at 6TL each adult - Kien's ride was free. It was an interesting ride, and we were dropped off on the main highway, 1km away from the gate. We walked along the quiet street and came across an orchard full of trees baring fruit that I did not recognise. They kind of look like apples. Ephesus is an amazing place. It would seem I have no decent vocabulary to describe all these ancient sites that we've visited. I'm astounded by the history and fascinated by how these archaeological sites have been found and restored. Ephesus, an Ancient Greek city in Turkey, has been a place that has been built upon by Attic and Ionic colonists, the Roman Republic and various emperors in the times BC and AD. Supposedly Marc Antony and Cleopatra honeymooned here, and St. John and Mary, the mother of Jesus, lived nearby. The open air amphitheater was capable of holding 25,000 spectators and still remains in such good condition. The library of Celsus was built in honour of the Roman Senator Tiberius Julius Celsus Polemaeanus. The library was built to store 12,000 scrolls and to serve as a mausoleum for Celsus, who is buried in a crypt beneath the library. The terraced houses had these beautiful mosaic floors. I really like the carving of the goddess Nike. You can totally see what inspired the swish. I had left the boys halfway through since Kien wanted to play around the entrance where the trees were and Jef has already been here before. I loved wandering around to the quieter parts where hardly anyone went, so I was able to stop and take in the scenery of this wonderful place. We left Ephesus the way we came in - walked to the main road where a guy waves at us and tells the driver via walkie talkie that we needed a ride. We wanted at the bus stop until we were picked up. Back in Kusadasi we decided to come back on the ship instead of trying to sit down and have a beer out there where every shopkeeper was screaming at us to come into their store. Besides, drinks are free for us on the ship!